In our house, we are big fans of Chia seeds and try to incorporate them in whatever meal we are having whether it be breakfast, snack or dinner! 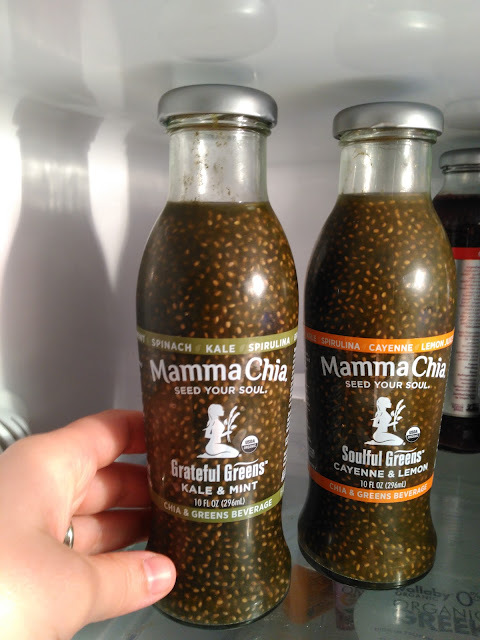 Lately, we have even been enjoying Chia seeds in our DRINKS with new beverages from Mamma Chia, the leader of the chia revolution. They have created a delicious new beverage that combines the powerhouse of chia with healthy, vibrant greens. Why do we LOVE chia? 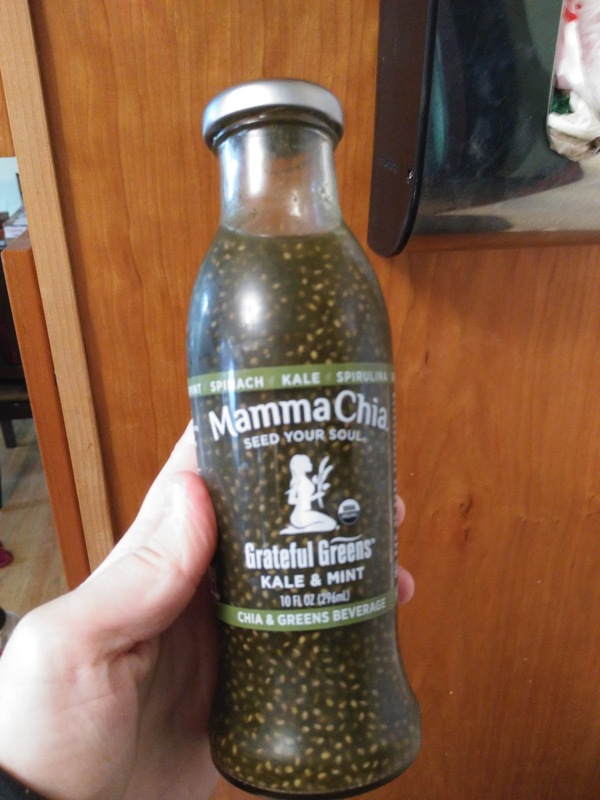 Chia & Greens is a delicious, fun on-the-go beverage with one of the lowest amounts of sugar and the highest amount of nutrients in the green drinks universe. In fact, each bottle delivers 2500mg of Omega-3s, seven grams of fiber, four grams of complete protein, 25% RDA of Vitamin A, and 95mg of calcium. Enjoy it as a kick-start to your day, as a revitalizing mid-afternoon pick-me-up or anytime you want that feeling of rejuvenation! This fresh, new line combines the nutritional powerhouse of chia with vibrant greens, offering category-leading nutrition with great-tasting flavors to provide a delicious, fun, on-the-go beverage. Each of the four invigorating beverages is bursting with nutrient-rich chia seeds and organic power veggies, including kale, spinach, broccoli, spirulina, barley grass, and wheatgrass. Chia & Greens is perfect for souls of all ages; athletes and weekend warriors; corporate climbers and mountain climbers; as well as anyone else who seeks to Seed their Soul. Mamma Chia Organic Chia & Greens offers the most nutrient-rich green beverages on the shelf. With one of the lowest calorie counts from sugar in the category, each bottle delivers 2500mg of Omega-3s, seven grams of fiber, four grams of complete protein, 25% RDA of Vitamin A, and 95mg of calcium. I love to mix my Chia & Greens drink into my smoothie. It gives it great flavor along with extra greens and chia seeds! Or I grab it on the go for an extra boost of nutrients throughout the day! · Joyful Greens (Ginger and Lemongrass). And, just like all of their products, Mamma Chia’s new green drinks are Non-GMO, gluten-free, Vegan, Kosher, and USDA Certified Organic. Grab your bottle of Chia & Greens today and find a really easy way to add extra nutrients into your diet without having to cut, cook, clean or dirty any dishes!! You can purchase Chia & Greens drinks for suggested retail price of $2.99 online or at a local retail store. Mamma Chia is generously offering (1) Mamma Chia Prize Pack including one bottle of each flavor of Mamma Chia’s new Chia & Greens beverage along with samples of some of their other products to enjoy. (MSRP: $50!) to a lucky winner!